After a long time, the Lions is currently visiting West Indies. Almost ten years have passed since their last visit. This time, according to the ICC schedule, West Indies and Sri Lanka are going to play a long format series in West Indies. However, the competition has already started with the inaugural Test between them. In the match, team Sri Lanka chasing target at Queen’s Park. Team West Indies did present a target in front of the Lions and the Lankan players have finally started to chase it. They have whole 5th day in hand. But the target was not so poor but handsome. In 6th June, 2018 the 1st Test between them has started at Queen’s Park Oval in Port of Spain. 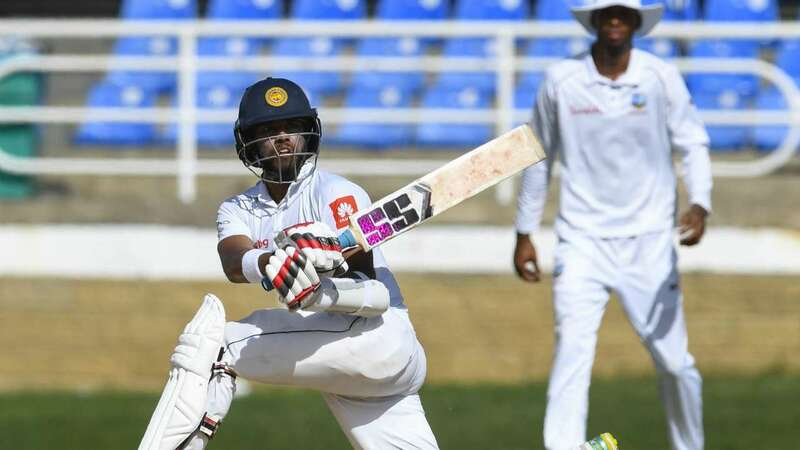 Earlier the match, Sri Lanka also played a tour match against the West Indies President’s XI team. However, in the official match Sri Lanka could not win the toss and so, they came to bowl first. At the home venue, team Windies did play very good. They did not lose all wickets but in exchange for eight wickets, team West Indies scored 414 runs. They have played complete 154 overs and declared their first innings. Shane Dowrich made a century in the match and remained not out. Windies bowlers were not quite successful in the first innings. Lahiru Kumara took four wickets highest for the team who bowled 35 overs in the innings. Later, the Lions came to bat for the first innings. It seems that Sri Lanka faced batting collapsed in the first innings. They failed to make good score but did avoid follow – on. In 55.4 overs team Sri Lanka lost all wickets. They scored 185 runs totally. Their top scorer was Dinesh Chandimal who scored highest 44 runs so far. Windies bowlers bowled well in the innings and successfully tied the opponent innings so earlier. Cummins took three wickets where Roach and Gabriel took two wickets each for the West Indies. Later, West Indies came to bat for the 2nd innings because team Lions did avoid follow – on. So, they started to play in the 2nd innings and they wanted to make some more runs and declared their innings. They played 72 overs and scored 223 runs. They lost 7 wickets totally in the meantime and announced their 2nd innings. Kieran Powell scored highest 88 rus for Windies. Like the first innings, Lahiru Kumara once again took three wickets for the Lions. Now, as stated by the last news, team Sri Lanka is in bat to chase the target which is presented by West Indies.